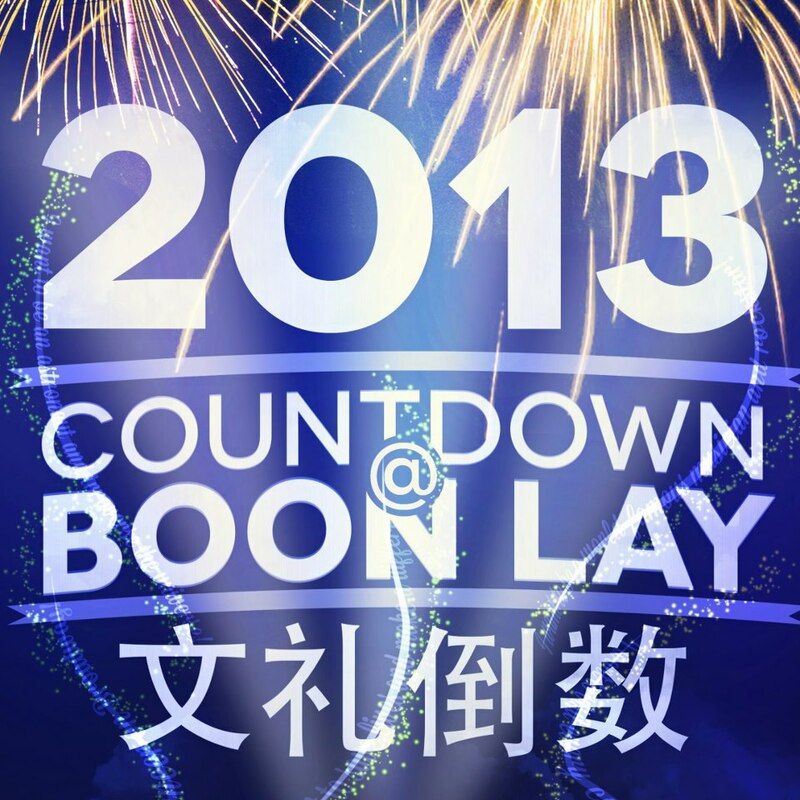 31 December 2012 saw the successful culmination of Countdown @ Boon Lay 2013, a journey that will remain unforgettable for the organizers from Youth Club @ Boon Lay. 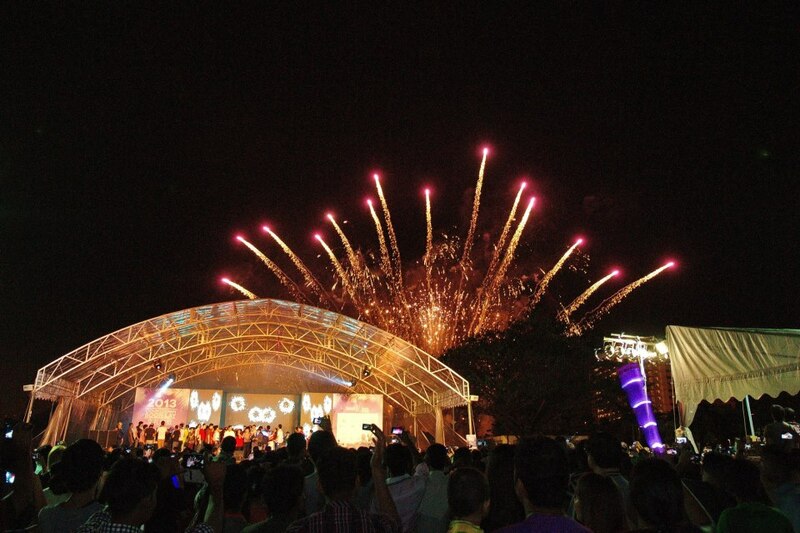 On that day, Boon Lay residents welcomed the new year together with much fanfare. 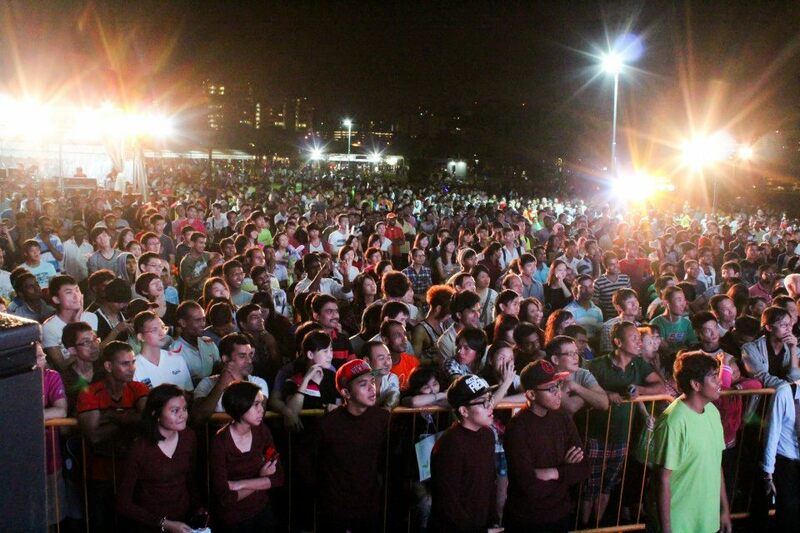 This year, Countdown @ Boon Lay received immense media attention due to the emphasis on performances by local talents. 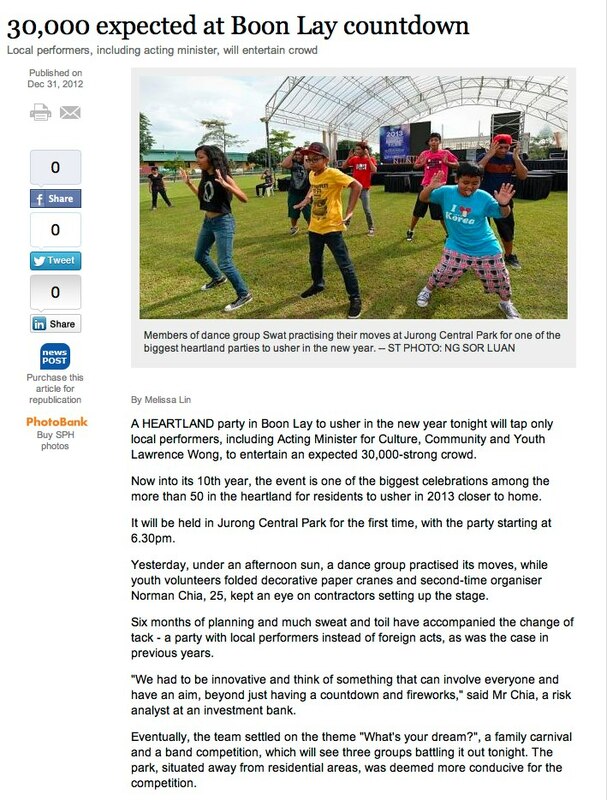 The event was featured in the Straits Times, Lianhe Zao Bao, Capital 95.8FM and 早安您好. A publicity booth was also set up at Jurong Point, where club members and volunteers encouraged shoppers to write down their wishes on origami paper, which they later folded into paper cranes. Preparations for the event began early in the day, with volunteers arriving at the community centre to help transport goodie bags, game equipments and décor over to Jurong Central Park. Meanwhile, at Jurong Central Park, stage performers had already begun their sound and technical runs to ensure flawless performances later in the night. Throughout the afternoon, the Countdown committee together with volunteers worked tirelessly to set up the necessary logistics for the event. However, the weather that day did not seem to share the jubilation many had towards the event. In the midst of preparations, a heavy downpour ensued, stalling many of the ongoing plans. At that juncture, the only thought in the minds of everyone was for the rain to stop as soon as possible. Thankfully, our wishes were answered when the skies began to clear later in the evening, and Countdown @ Boon Lay 2013 proceeded in full force. Fortunately, the light drizzle did not dampen the festive spirit of Boon Lay residents as many of them gathered at Jurong Central Park to enthusiastically participate in the carnival booths and watch the show put up for them. Over at the games stall area, volunteers helped to distribute free popcorn to residents and also manned game stall booths, such as Life-Sized Jenga, Floorball Frenzy and Basketball Bash. 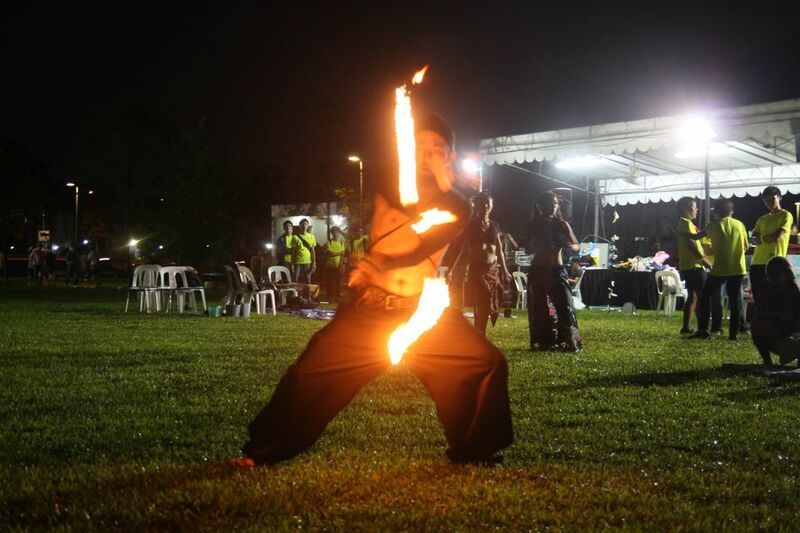 At around 10pm, professional fire performers entertained the crowd gathered at the field near the games stalls. They ended off with a breath-taking performance to the song Gangnam Style. At the stage area, residents were treated to a visual spectacle of performances that featured many talented local performers. 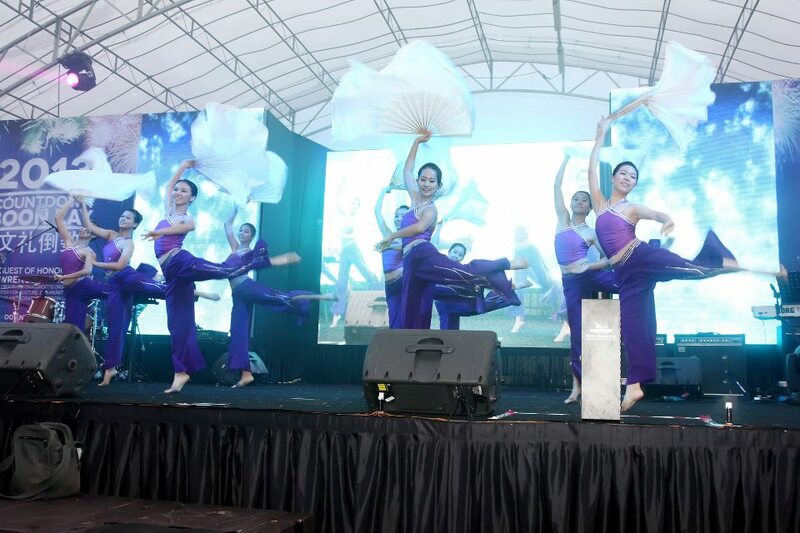 These included RI Chinese Dance, Chanel and Dancers, Raffles Jazz and SWAT – the winner of Boon Lay’s Got Talent 2012. The range of performances did not fail to entertain and many residents were impressed by the quality of local performances. 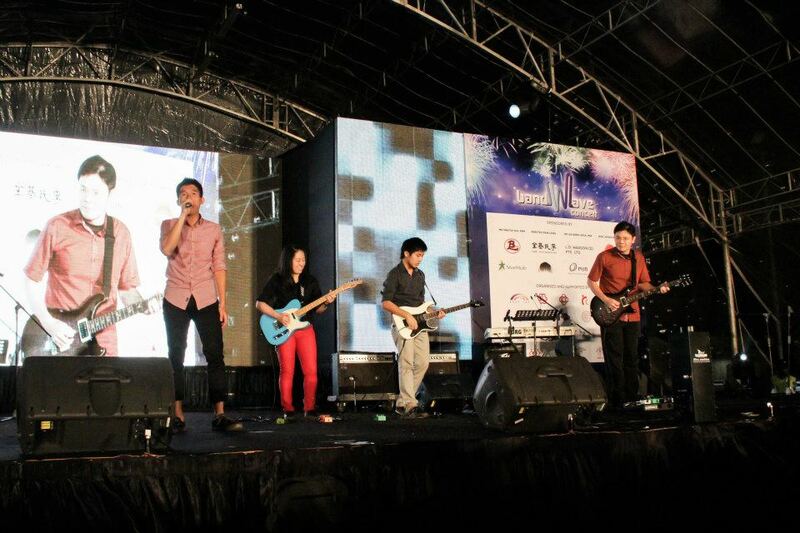 The highlight of Countdown @ Boon Lay 2013 was bandWave – a band competition that saw three youth bands (Au Revoir SG, Emerald Street & Obviously We!) pit their musical talents against each other. The three youth bands had undergone a fully sponsored training camp earlier that month at the Academy of Rock – Singapore’s pioneer rock and pop music school. To kick-start the competition, Acting Minister for Culture, Community and Youth, Senior Minister of State (Ministry of Communications and Information) and MP for West Coast GRC (Boon Lay Division) Mr. Lawrence Wong, roused the crowd by performing the song Wake Me Up When September Ends on the electric guitar with youth band Fancy This Progression. Audiences were wowed by the immense musicality displayed by each band and the judges had a difficult time deciding who was to be the eventual champion. After much deliberation, it was an ecstatic moment for Emerald Street when they emerged as the champions. It is truly heartening to see the emergence of platforms such as bandWave which allow youths to take their passion for music to greater heights. Soon after, the countdown to 12:00 AM began. Everyone could not wait for the New Year to arrive and it was truly exhilarating as the moment inched closer. Finally, at the turn of midnight, the fireworks went off, and cheers filled Jurong Central Park as people wished each other a happy new year. Emerald Street then treated the crowd with one last performance, ending the night on a high note. Countdown @ Boon Lay continues to be one of the biggest countdown parties in the heartland – and YOU can get to be a part of this incredible and memorable experience – just join the Youth Club @ Boon Lay, a popular Student Interest Group (SIG). The opportunity to organise an event of such a scale is truly amazing and the experience will definitely be an enriching one. Find out more about our club at our website, and join us with this link.